The American Dental Association recommends biannual dental checkups for most patients. Smokers, pregnant women and those with certain health conditions may benefit from more frequent checkups. Taking the time out of your busy life for a dental checkup may seem like an inconvenience, but visiting our dentist in West Hollywood just twice a year provides you with many benefits, including a reduced risk of suffering more serious dental health problems. Your biannual dental checkup gives our dentist an opportunity to check for signs of tooth decay or gum disease. These conditions are most effectively treated when diagnosed early. If tooth decay continues, it can lead to infection, the need for root canal treatment or even the loss of the tooth. Untreated gum disease can lead to tooth, bone and tissue loss. Gum disease has also been associated with pregnancy complications, Alzheimer’s disease, respiratory infections and cardiovascular disease. The professional cleanings you receive during your biannual checkup can also improve your dental health. Plaque and tartar can lurk in the darker recesses of your mouth where they are harder to remove, but professional cleanings can eliminate every trace of them. A professional cleaning can also polish away superficial stains and leave your teeth bright and healthy looking. 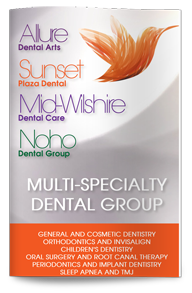 Finally, regular checkups can provide you with valuable information about your dental health. We may advise preventative measures or recommend treatments that can reduce your risk of dental disease or restore your dental health. Contact our dental office today to schedule your next dental checkup.